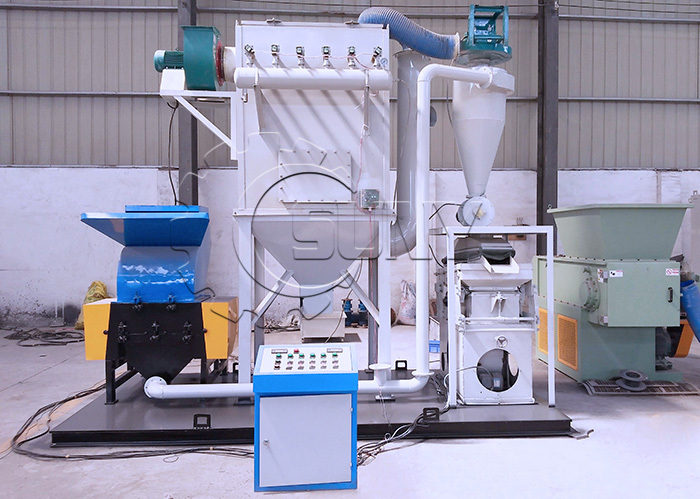 The Magic of Cable Wire Recycling Machine _ PCB recycling machine,cable wire recycling machine,E-waste recycling plant,precious metal refining machine system,E-waste shredder,plastic and metal recycling production line,copper electrolysis system-Zhengzhou Zhengyang Machinery Equipment Co.,Ltd. With the development of electronic science and the applications of electricity have spread to households, makes our life indispensable resources, wires, meanwhile, has become something we are everywhere, with the passage of time, the wire aging, scrap wire is a very serious problem, Waste copper cable if recovered, then you will get the pure copper resources, which is why we need to recycle waste wire. Cable Wire Recycling Machine is an advanced technology in the field of recycling scrap copper. Since it began to appear in America and other advanced countries in 1980s, it has developed fast worldwide. A cable wire recycling machine with advanced technology has good effect of recycling scrap copper. Scrap copper cable/wires turn into pure copper granule and plastic after a series of processing means. The quality of copper granule is just like that of electrolytic copper, which can be put into use directly. However, the quality of cable wire recycling machine directly decides the purity of copper granule utilization level of plastic. Cable wire recycling machine has advanced manufacturing craft, rigid quality control system and consistent good service. It produces adopts PLC control system and double crushing process, bringing you a high recycling rate of 99% and reliable operation experience. What’s more, it always ensure the timely transport, considerate service and satisfying after- service.